Touting themselves as environmentalists, Obama and the Democrats had eight years to do it, but they didn’t — leaving the problem to grow into truly monstrous proportions. But the GOP-majority Congress is doing something about it, and President Trump, reviled and trashed by environmentalists, is championing it. The problem of plastic in our oceans has been left to fester to unmanageable effect. Saying that over eight millions tons of garbage, plastic, is dumped into our oceans, the President says Save our Seas is an effort to clean the plastic out. No other political leader, not in the U.S. or any other country, is willing to stand up for the oceans. Oceans cover more than 70% of our planet. It is what gives us life and Earth’s moniker “The Blue Planet”. But human beings are choking the oceans with our plastic garbage, resulting in gigantic floating patches of marine debris in the Pacific Ocean — the Great Pacific Garbage Patch. 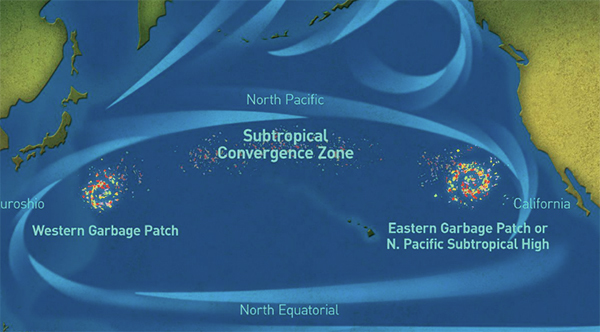 About 80% of the debris in the Great Pacific Garbage Patch comes from land-based activities in North America and Asia. Other sources of this trash are boaters, offshore oil rigs, and large cargo ships that dump or loose debris directly into the water. 8 million metric tons of plastic find their ways into the oceans from just 10 rivers, 8 of them in Asia, according to a Scientific American article. More than 2 million tons of single-use (use once and throw away) plastic soft drinks bottles are sold each year, only 6.6% of which are made from recycled materials. Those single-use plastic bottles are the most common type of plastic packaging found washed up on shorelines globally. 79,000 tons of marine trash are fishing nets. Those nets and plastic caps and rings entrap marine life, like this duck and a humpback whale. All those millions of tons of plastics swirling around in the oceans will take centuries to break down. As the plastics break down, smaller particulates are ingested by sea and bird life, which in turn are ingested by humans. Scientists have collected up to 1.9 million bits of microplastic in one square mile of the Great Pacific Garbage Patch. Most of this debris comes from plastic bags, bottle caps, plastic water bottles, and Styrofoam cups. According to the National Geographic, nearly every seabird on Earth is eating plastic or eating fish that have eaten plastic. A new study found that “So much plastic trash is flowing into the oceans that 90 percent of seabirds eat it now and virtually everyone will be consuming it by 2050.” Plastic found inside birds includes bags, bottle caps, synthetic fibers from clothing, and tiny rice-sized bits. The study’s lead author, Chris Wilcox, a research scientist with Australia’s Commonwealth Scientific and Industrial Research Organization, said that the number of species and number of individuals within species that you find plastic in is rapidly increasing by a couple percent every year. The plastic garbage in oceans is an international problem, and cannot be solved by any one country. Amends the Marine Debris Act to require the National Oceanic and Atmospheric Administration (NOAA) to work with: (1) other agencies to address both land- and sea-based sources of marine debris, and (2) the Department of State and other agencies to promote international action to reduce the incidence of marine debris. Allows NOAA to make sums available for assisting in the cleanup and response required by severe marine debris events. encourage the Office of the U.S. Trade Representative to consider the impact of marine debris in relevant future trade agreements. Reauthorizes for FY2018-FY2022: (1) the Marine Debris Program, (2) an information clearinghouse on marine debris, and (3) enforcement of laws about discarded marine debris from ships. The Save Our Seas Act of 2018 was passed by the Senate on Sept. 26, 2018, and by the House of Representatives on September 27, 2018. On October 11, 2018, President Donald John Trump signed the Save Our Seas Act into law. 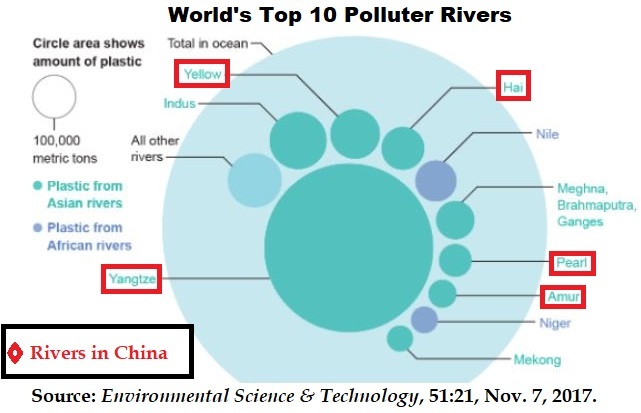 This entry was posted in Congress, Donald Trump, Republican Party, United States, US Presidents and tagged 10 most polluting rivers, China major plastic polluter, Great Pacific Garbage Patch, plastic debris in oceans, S. 3508, Save Our Seas Act of 2018, Sen. Dan Sullivan. Bookmark the permalink. Sounds to me like this will only fund a bunch of STUDIES for a bunch of pretend-do-gooders. They won’t mean diddly squat to the worst polluters, e.g. China, India and third worlders. Why are ships allowed to dump their garbage into the ocean? Why is anyone allowed to? How do we stop them? I read that a kid had developed a bacteria that actually thrives on this stuff. I hope that’s true. It’s a real problem. As to “why ships dump at sea”, there is no jurisdiction that is responsible for it. I suppose they could have a treaty, but I don’t know who would patrol where. It’s a very big ocean. China and other parts of Asia are largely responsible. You won’t be seeing them lining up to help pay for cleanup, however. At least our President has the forethought to sign this type of legislation. I got to say. . . I really love that man! Our beloved JRR Tolkien was a true environmentalist. I can’t speak for him, but I think he would applaud President Trump’s action. 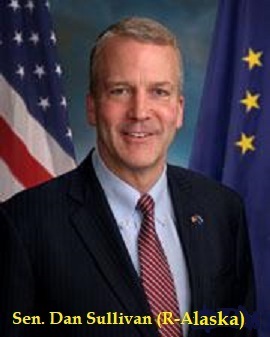 Dan Sullivan is a Senator from ALASKA(Ak) not Arkansas(Ar). I think it’s great Trump wants to save the oceans. Now how about saving the American people from the TSA? The National ID? Stopping all water fluoridation? 5G? Smartmeters? Chemtrails? And a host of other horrible things. Let’s keep in mind the quotes below. Keep praying for our God to help us. The evil is off the charts now. I guess they tend to forget Investigative Reporter named Angela Sun did the investigation before, then created & directed that film around 2010. She should still be recognized for all her hard works. The problem is caused by plastics that float, mainly polyethylene and polypropylene. The first has massive use in plastic bags and containers. However it can be weighted down to sink simply by adding cheap inorganic fillers like clay and talc. Perhaps we need legislation banning the use of plastics that float in sea water, at least in coastal cities and in marine uses. And this would have to catch on in china and third world countries to have a measurable effect.